I still need to read the first two of the trilogy. I guess Maleficent had just been a movie adaptation kind of read. Still fits into this series in a way, though it was written by another author if I do recall! Still, this series will be fun! I just know it! I really enjoyed her first thriller, so I'm excited for her next one! Plus this cover is creepy! And I like the creepy! I'm not familiar with the 'Villain's Trilogy'. Hope you enjoy Ursula's story when you get to read it. 'The Telling' sounds a little creepy. Sounds so great!! I didn't know about the Villains Trilogy, but you can be sure I'll check it! Love the cover for Telling! 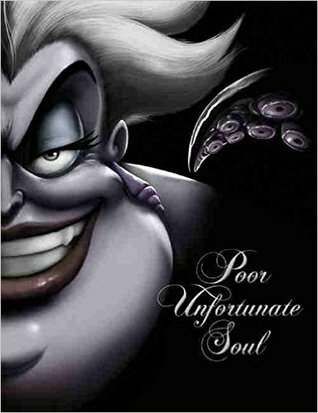 Ursula's story maybe interesting, it is hard for me to like re-tellings from the Villains point of view. OK I think I may need both of these books like right now!! They sounds fantastic!!!! I'm not familiar with either of these series. I hope you enjoy reading these. Thanks for stopping by My WoW earlier. I love Disney villains, they're so deliciously evil! I also loved Maleficent although I haven't read the novelization yet. The Telling sounds mysterious and I'm on a thriller binge-read so I might have to seek this one out! Ooooh! There's an Ursula one?? I've only read (part of) the Beast one and I haven't really enjoyed it too much yet. I'll have to pick it back up soon. Awesome picks, especially the Ursula one! Here’s my WoW! These are both new to me. I love Ursuala! I think I have watched that movie at least a million times :) I hope you enjoy these when you get a chance to read them. Ummm.... I need to get this "VILLAINS" trilogy!!! Sounds like a series I will love! Interesting! I've not heard of either of these. I like the second book's cover. I hope you enjoy these books when you get a chance to read them! Love the sound of both of these! I heard such mixed things about The Creeping that I never did make time for it, but I'm glad to hear you enjoyed it! I may have to pick it up sometime! Poor Unfortunate Souls looks amazing! 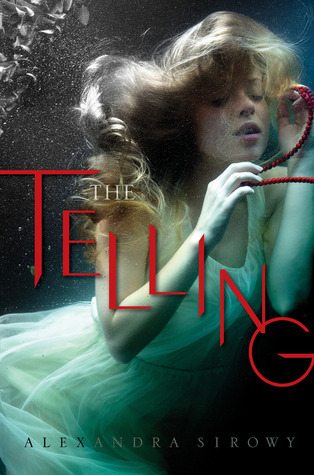 Wow, that cover to The Telling is amazing! I can see why you are wanting to get your hands on it!